Get ready to say 'Awww' for a new video with Trevor Noah, Paula Abdul comes tumbling down hard, and why Rihanna said no to the Super Bowl. This and more on Tuesday's #HotGoss with Jane. If there's one export that South Africans are proud of, that's our boy Trevor Noah, who is living it large in the USA. In addition to being a host on the Daily Show, Trevor will be hosting a brand new Netflix special called, "Trevor Noah: Son of Patricia", and it is said to touch on topics such as racism, immigration, and much more. It will be available for fans to enjoy via online streaming on 20 November. 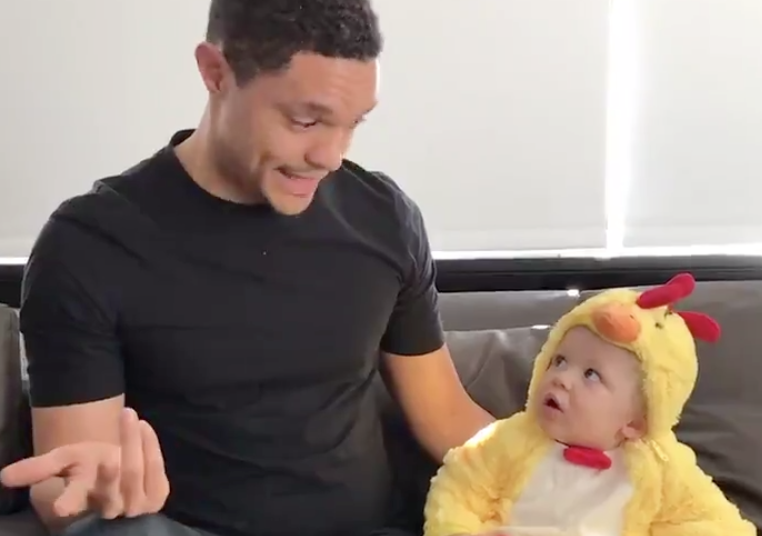 Taking to his Twitter account, Noah shared an adorable teaser video to announce the official date of his new show using one very cute baby dressed up in a chicken suit. Falling, in general, can be an embarrassing affair. Falling off stage with thousands of fans watching you can be pretty tragic - and painful. Paula Abdul knew this feeling first hand when she recently fell off stage at the Mississippi leg of her "Straight Up Paula! 2018 Tour" concert. In a video that's making the rounds, you can see Abdul jiving and singing along to her hit, The Promise Of A New Day, when all of a sudden, she walks a bit over the edge and tumbles down over the stage. No word on whether she suffered any injuries as yet, but by the looks of things, she must have experienced a bit of soreness the next morning. Ouch! RiRi is a lot of things, but there's one thing that we can count on her for - she chooses to stand boldly for something that she believes in. Cosmopolitan reports that the star turned down a headline gig at the 2019 Super Bowl halftime in supporting of the NFL star Colin Kaepernick, who made news when he refused to stand for the US anthem to show support towards "police brutality, racial inequality and injustice against African Americans." It is said that since turning it down, Maroon 5 have taken up the opportunity to accept a place on the popular spot which attracts millions of viewers all over the world. CBS reports that the 2017 show saw a whopping 111.3-million viewers tune in to get a glimpse of the musical acts and performances. It's a huge thing to turn down such a massive offer like this, so Rihanna must mean business. Yoh!